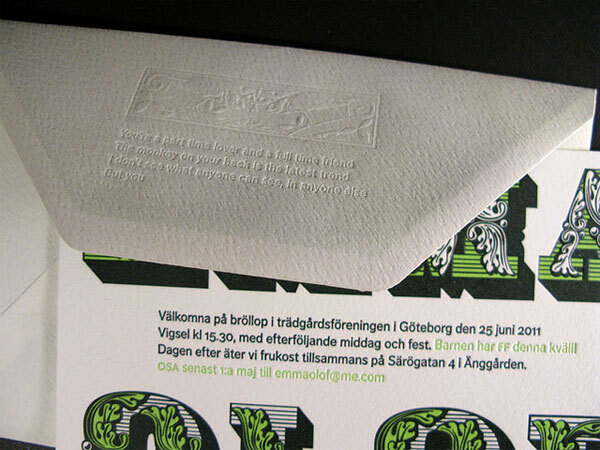 Now this is an unforgettable wedding invitation! 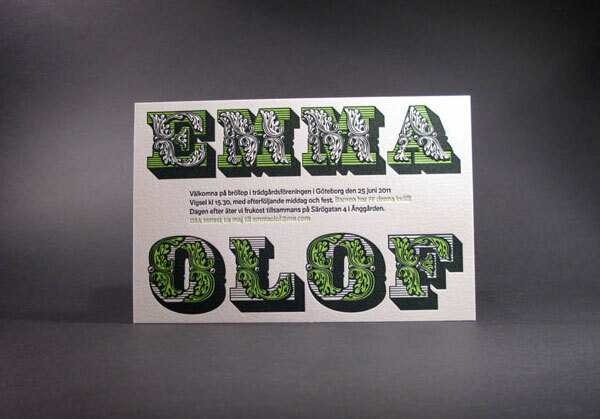 Emma and Olof’s fantastically bold green and black typography letterpress wedding invitations were designed by Swedish designer, Fredrik Andersson, and printed by Lithuanian letterpress shop, Elegante Press, and the result is an invitation that’s unmistakeably modern, with a bit of an Old World feel in the mix. 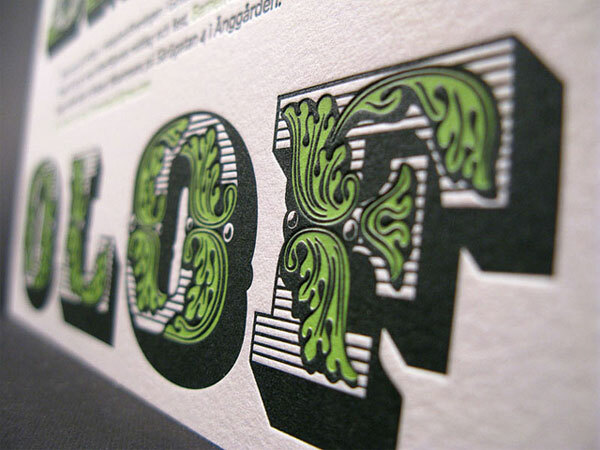 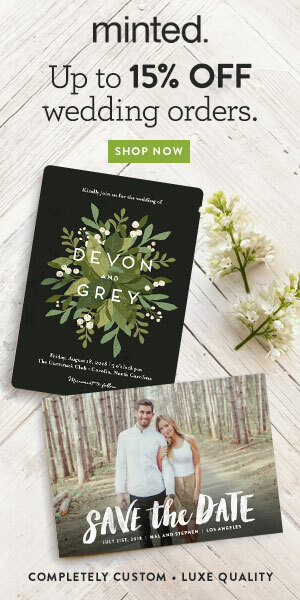 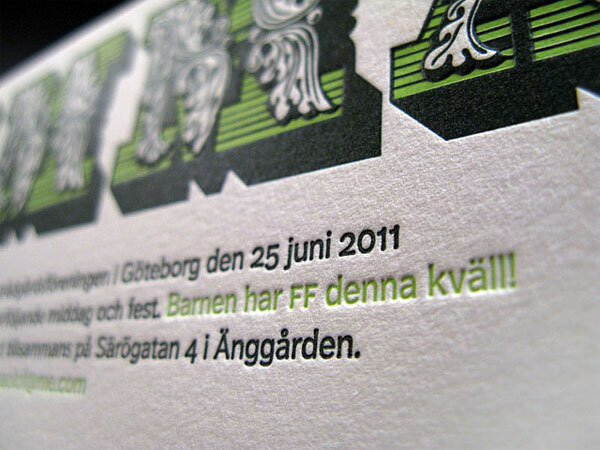 The invitations were printed on luxe cotton paper, and two runs of the deep green ink were required to achieve additional impact and saturation.